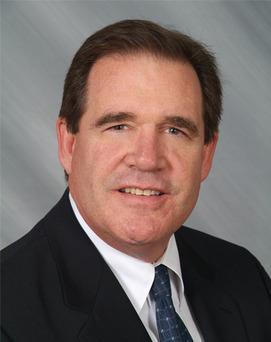 W. Joshua Levering, SIOR (Josh) has been a commercial real estate broker and advisor for 25-plus years. Josh has been most active in the Northern New Jersey and tri-state region. Josh joined the NAI James E. Hanson team with the directive of adding depth to the firm’s office leasing and investment activities in New Jersey and throughout the NAI international network. Josh has consistently been recognized as a top producer and has an outstanding reputation for thoroughly understanding the many intricate facets of the industry. Josh began his career at CB Richard Ellis and worked in both the Hackensack and Parsippany offices from 1980-1994. Thereafter, he was a Senior Managing Director of Newmark & Company Real Estate(now Newmark Grubb Knight Frank) from 1994-2001. In this position, he served as advisor and negotiator for both local and national tenants, owners, developers, and other entities requiring commercial real estate expertise. Prior to joining NAI James E. Hanson in 2006, Josh was the Executive Vice President of Weichert Commercial Brokerage, Inc. where he was responsible for overseeing a team of office leasing and sales associates in the company’s multiple regional centers through out New Jersey and Lehigh Valley, Pennsylvania. Various noteworthy clients and customers represented included AT&T, Goya Foods, Nippon Express, State of New Jersey, Union Camp, Dean Witter, Jacoby & Meyers, First Industrial Realty Trust, Prudential, and Verizon. University of Florida (1976-1980), BS with a Major in Finance, Minor in Real Estate.